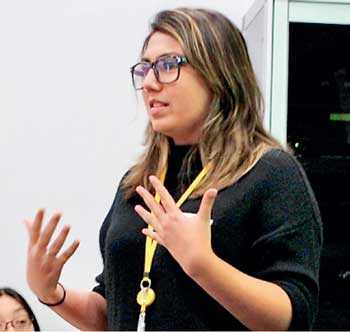 TOKYO, Japan: DentsuGrant’s Tara Weerasinghe just spent an exciting few days in Tokyo earlier this month representing Sri Lanka and her agency at the Dentsu Young Innovators Workshop 2018. 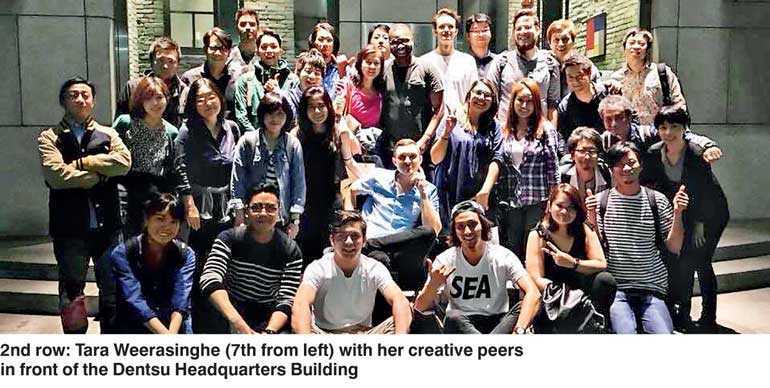 As one of seven rising young creatives from the APAC region chosen to join her peers from Dentsu Inc., she spent four days in Japan surrounded by the best creative thinkers in the world. Learning, absorbing, and working, she also had the unique opportunity of working with a partner from Dentsu Kansai, under the guidance of their “Sherpa” Yasuharu Sasaki, the ECD of Dentsu/DAN (Tokyo), to crack a live brief given to them by their host agency, Dentsu Inc.
Aside from the live brief, Tara also had the fabulous chance to take part in Creative, Strategy, Digital, Data and Peer Learning sessions at the 48-storey ultra-modern Dentsu Headquarters located in the heart of Tokyo, led by the best creative leaders from around the world. Stretching the boundaries of imagination, creativity and inspiration, the Young Innovators Workshop aims to support and stimulate high-potential young bloods in the region and give them the chance to work and learn from the best creative practitioners in the industry. DentsuGrant is part of Dentsu, the single largest agency brand in the world. With 58,000 co-workers and 355 offices across the globe, Dentsu identifies – through a variety of communication domains – the core issues faced by their clients in order to provide the optimised, integrated solutions required to solve these challenges.